Day 1 of the 2014 NAIAS is wrapping up. We’ve summarized some of the biggest reveals on the day. Mark Reuss called this Corvette “The Big Nasty” as it drove out of its camouflage and onto the stage. When you see it in person, you have to agree. Sporting the most down force of any Corvette to date and a supercharged 6.2L V8, this is a track-ready monster will be a beast to be reckoned with. 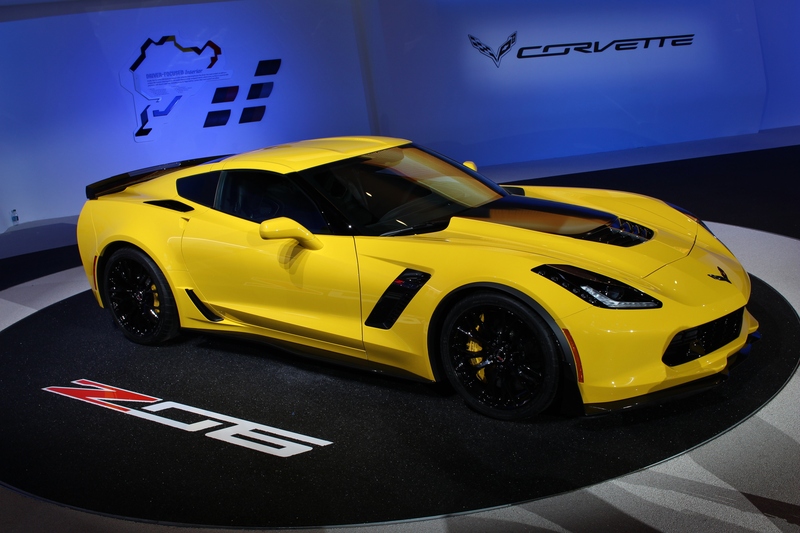 Debuting with a live stream of a 50 Corvette caravan into the COBO center in Detroit, the new Z06 made waves with a new transmission option. For the first time ever, an 8-speed automatic will be debuted along with the 7-speed manual. We know you’ve already asked the question, and that question is: Is this the next Supra? Well, no one knows for sure. But something interesting may yet come from this car and the newly minted relationship between Toyota and BMW. Neither company has made any secret of this fact and this sports car comes out of it’s box, literally, showing some sporting pretensions. 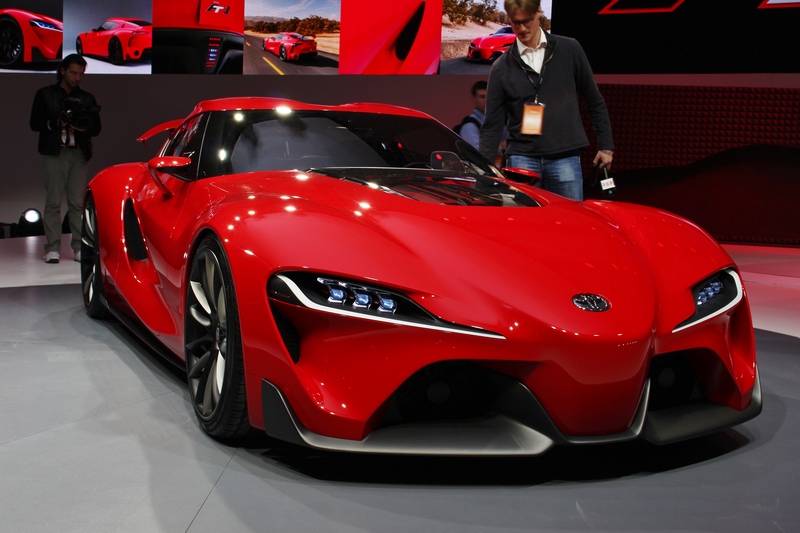 This is the FT-1, or the “Future Toyota #1” concept. Quite a few design cues that appear to be inspired by the LFA are are found around the car both inside and out. The future of this car may be murky, but one Toyota employee told us that they wanted to see the FT-1 make it into production. We didn’t really need to be told that, because we would have said it anyway. The new baby Mercedes-Benz SUV is now out and about. Debuting in GLA in AMG form assures that it won’t be sticking around for you to admire. Utilizing the already potent CLA45 motor and transmission, this SUV is claimed to do the 0-60 run in 4.8 seconds. 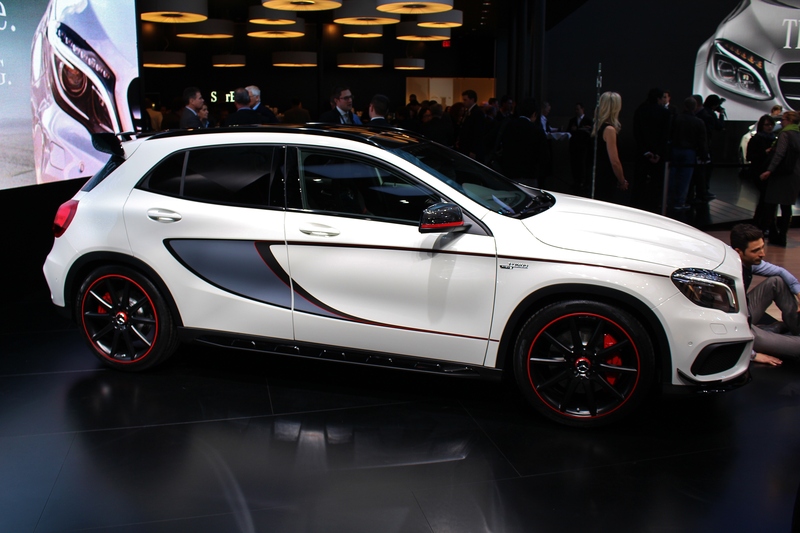 Debuting in Edition 1 form, the GLA45 looks almost identical to the car that everyone saw at the Los Angeles Auto Show from a few months ago. Aluminum is the name of the game here. 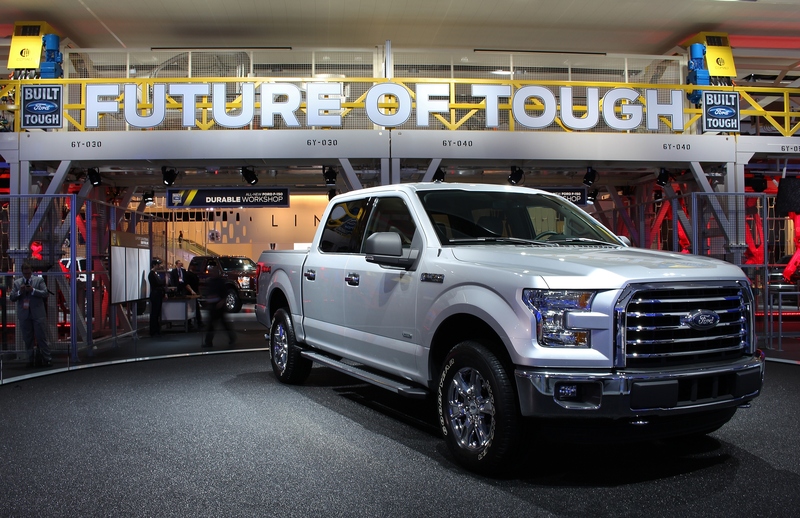 Ford claims a weight savings on the Atlas-inspired F-150 of at least 700 pounds; that’s substantial. Four engine choices are available here. Starting out with a 3.5L V6, then the 2.7L EcoBoost, the 5.0L V8, and the new top-trim 3.5L EcoBoost. Ford is breaking new ground with this aluminum bodied F-150, and we are excited to see what it means for it and the competition. 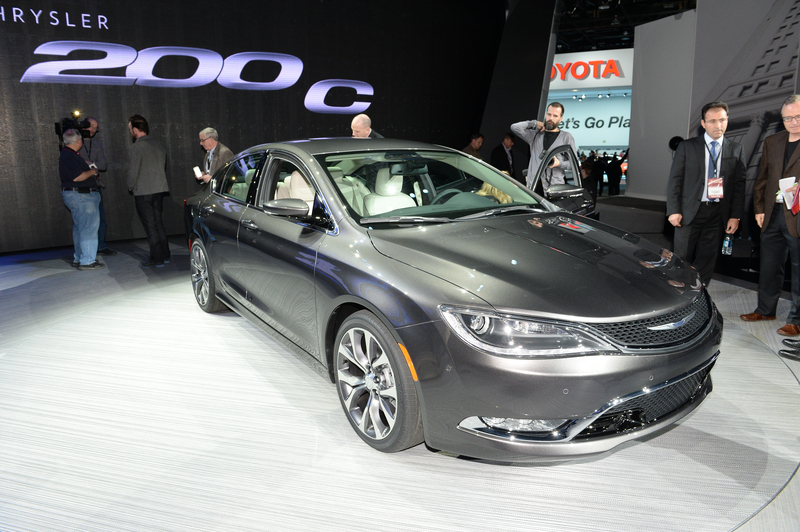 Chrysler executed a complete redesign for the 2015 Chrysler 200. It has a new aura of elegance with its full LED daytime running lights and its flowing lines. It’s also first of its kind to have a nine-speed automatic transmission. The Uconnect Access system will allow drivers to interact with the car via an app on their cell phone as well as facilitate as a Wi-Fi hotspot. You’ll also be able to personalize your driving experience with the new reconfigurable instrument gauge cluster. 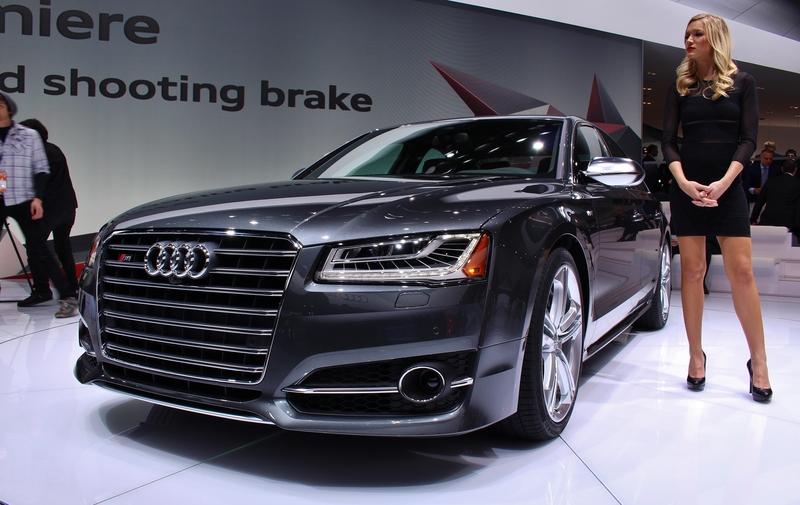 Audi has given the S8 a modest face-lift for 2015. The interior remains about the same, but with the changes that were made in 2014 there wasn’t a pressing need for more change. However, the exterior’s headlights, taillights, and grille are new. The new, squarer, front end and wider grille give the S8 a more imposing stance. The taillights give the flagship Audi a bolder look and aggressive and a wider trunk lid makes for easier cargo loading. http://www.MazdaUSA.comCX-5 exterior & interior pictures. Sign-up for the latest CX-5 news. Ask.com/AnswersOver 100 Million Visitors. Discover and Explore on Ask.com!